With NBN being rolled out in more and more areas every day, the need for a reliable medical phone system is becoming more evident every day. With NBN using a variety of ways to deliver services over various type of network like Micro Wave, Satellite, FTTP, FTTN, FTTB and now FTTC. People with serious medical conditions require a reliable stand-alone service that will be available when or if needed. 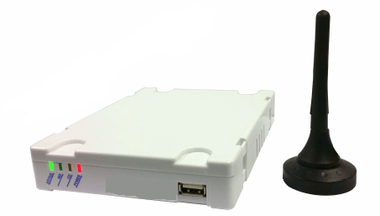 One easy way to enhance the safety of your loved ones is to ensure that you have a functional communications system that is easy for anyone, with the NEOS3003 GSM voice gateway is one of the most reliable ways to ensure calls to emergency services can be made if the unlikely event they are needed. 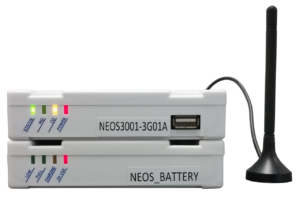 The NEOS3003 system is very easy to install yourself or ARCS technicians can complete the install for you, is small compact and a plug and play system. by adding a GSM SIM card from your choice of service providers and simply plugging in a conventional phone is just like your old standard house phone but uses the GSM network. By adding a backup battery to your NEOS3003 unit your medical phone system will operate uninterrupted, even when there is a power outage for unto 8 hours ensuring your loved ones has a continuous phone service for peace of mind. Installing NEOS3003 with giving you and your family peace of mind knowing that in the event of a power outage your loved ones will still have vital communication over a GSM network, operating on bands 900/1800 MHz bands and for Voda, Telstra Next G & Optus dual 3G networks utilizing the 850/900/2100 MHz UMTS bands. Australian standard dial tone, ring tone, and ring cadence are supported. These units are small and compact and can be mounted anywhere within the home or unit. simply by adding a CAT 5/6 cable these units could be mounted in a garage and an extension running from the unit to the bedroom or lounge room. Once connected, Its a simple as picking up your standard home phone and make and receive calls as they did over the old Telstra network. You can add cordless phones too. In the event of a power outage as a cordless phone relies on 240VLTs for the handset to operate, (it will not operate in the event of a power outage) we recommend if using a cordless handset to a have a standard handset available to plugin, in the likely event of a power outage, giving you continued operation for up to 8 hours. With some service providers now offering $10 a month unlimited calls throughout Australia on the 3g/4g networks, this would be a massive saving over the NBN average price of $40 p/m.